Food Service Sales & Marketing in Ontario. Total Focus specializes in providing food service sales and marketing representation to manufacturers in the Ontario foodservice market. Our main priority is to deliver profitable sales growth to our vendor partners through our professional sales and office administration team. 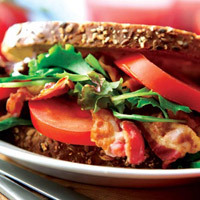 We focus on connecting you to your foodservice customers in Ontario. Total Focus provides all inclusive services for the success of our clients. We can provide you with many critical services to help you to be successful in your food service business! We provide you with all the tools needed to take your food service business to the next level! Focus on your sales while we focus on providing you with all the marketing tools necessary! Let us help you reach your customers and increase your sales! Contact us now and we’ll show you the many ways we can help you with your food service sales & marketing! Total Focus was founded in April of 1988 with the mission to provide food manufacturers in Ontario with an outsourced sales team with experience and expertise specific to the food service industry. The relationships of our professional sales team are our strongest asset; we utilize this asset to put the needs of our vendor partners and customers first. Total Focus is proud to provide their sales team with the highest quality internal administrative support group, working together as a team ensures execution. Our objective is to provide our food vendor partners with profitable and continuous sales growth by executing mutually agreed upon strategies. Our core values of trust, professionalism, loyalty and commitment are the pillars that will continue to allow us to grow as an organization for years to come. Total Focus Food service Sales and Marketing continues to be a proud sponsor of Friends of We Care, our industry’s charitable organization dedicated to helping send Easter Seals children to summer camp. 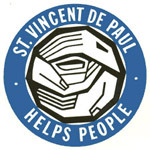 We are also proud sponsors of St. Vincent de Paul and The Children’s Wish Foundation. New to Total Focus Foodservice! Total Focus Foodservice is proud to welcome French’s Condiments, Frank’s Red Hot Sauces and the Cattlemen Brand into the McCormick Canada Portfolio. Please contact any one of our team members for additional information.